A bucket list isn’t all that full unless it has a hot air balloon scribbled across it. Crossing it off is now easy as you just have to travel till Lonavala for a hot air balloon ride over the undulating clouds. 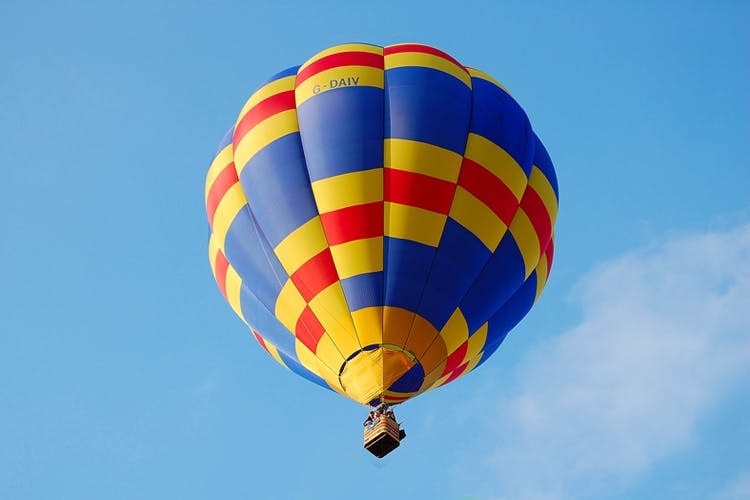 The meeting point for all passengers in the hot air balloon is in Talegaon, a few hours from Mumbai. The adventure starts when the clock strikes six in the morning. Talegaon is only approximately two hours from Mumbai and can be driven to via the Mumbai-Pune highway. It is about 30km ahead of Lonavala. You could also take a three-hour train ride from Mumbai CST to Talegaon directly. The folks at Blue Bulb will provide you with more information on the exact location once you book the experience. This hot air balloon ride is set over the valleys, and takes off over 800 feet above the ground. You are first greeted with a beverage and snack, possibly to tame the inner early morning monster in you. While the sun rises, the balloon is blown up, the burner is lit and the adventure begins. The ride lasts an hour, while you are carried by the undulating winds of Lonavala along with around seven other passengers. After touching the ground, you will be taken back to the meeting point, for who knows where you will land.